Professional looks and professional-level features. A fusion of crisp, architectural styling and practical attributes, K7 will appeal to culinary experts who settle for nothing less than the best. 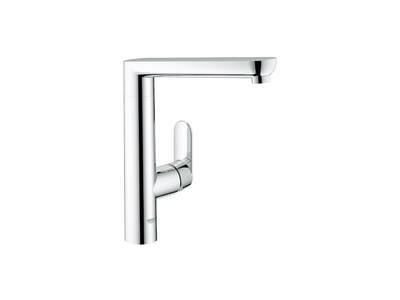 An arched coil guides the extractable hose, which combines a mousseur with a wide spray, while the lozenge-shaped lever – featuring GROHE SilkMove® technology – gives precise control of the water flow and temperature. 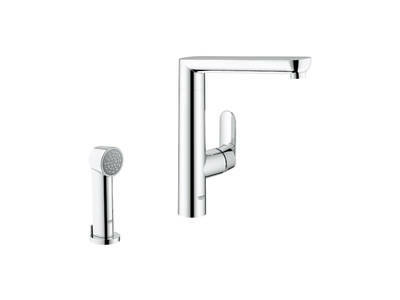 A choice of two surface finishes gives the mixers two distinctly different looks. 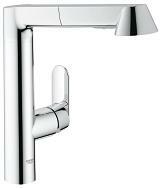 GROHE StarLight® chrome lends an air of elegant modernity to the design, while SuperSteel embodies the strength and pure luxury of the range. 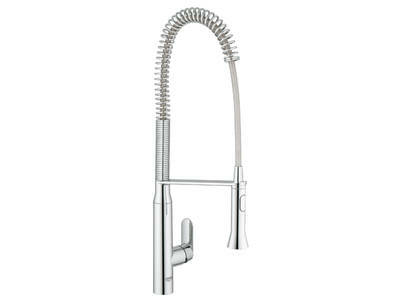 Ensuring compatibility with all styles of sink and kitchen layout, the range features a comprehensive choice of single-hole and two-hole mixers with or without an integrated spray. 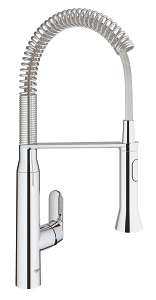 For added convenience, models with an independent hand-held spray are also available. In the kitchen, a lot depends on skill and timing. Professional chefs know this better than anyone. 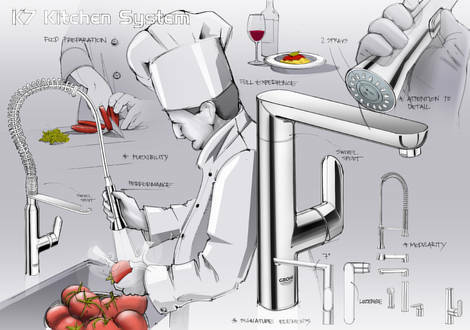 That is why K7 was developed with input from professionals and geared to the needs of home chefs. 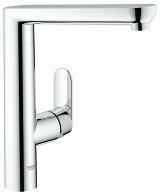 K7 answers the question of whether the focus of design is functionality or aesthetics with an emphatic ‘Both‘! K7 is so functional that you can devote your full attention to what you are doing. The professional spray can be pulled out, turned and swivelled 360° and operated with one hand. Furthermore, you can switch back and forth between the spray and mousseur without having to turn off the water.